Def Leppard always had a streak of glam running beneath their heavy rock -- listen to "Armageddon It" or "Photograph" for proof -- so it's no surprise that when the quintet decided to record a covers album in 2006, they devoted it to the '70s glam and hard rock that inspired them to pick up their guitars and play. What does come as a surprise is that the resulting Yeah! is a sheer delight, a roaring rock & roll record that's their best album since Hysteria. Often, cover albums get bogged down in reverence or ambition, as artists either offer interpretations that are straight copies or fussy reinterpretations as they busily try to make a favorite song their own. That's not the case here. 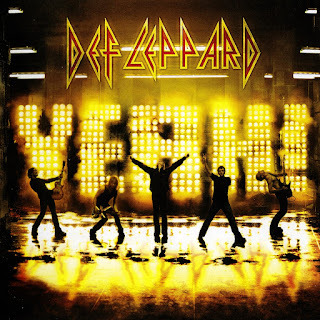 Def Leppard alternate between fairly faithful renditions of familiar classics like T. Rex's "20th Century Boy," Badfinger's "No Matter What," or David Essex's "Rock On," to subtle reinterpretations where they make seemingly difficult covers seem easy and unmistakably Def Leppard. It's true on their streamlined, muscular take on Electric Light Orchestra's swirling, psychedelic "10538 Overture," but it's most notable on their remarkable reworking of the Kinks' "Waterloo Sunset," which now sounds like a power ballad from Hysteria without ever once sounding like it's an affront to the immortal original. This take on "Waterloo Sunset" works because it's informed by a palpable love of the original, and that love is apparent throughout this terrific record. But there are plenty of good covers albums that are fun merely because the band is having a good time. What makes Yeah! 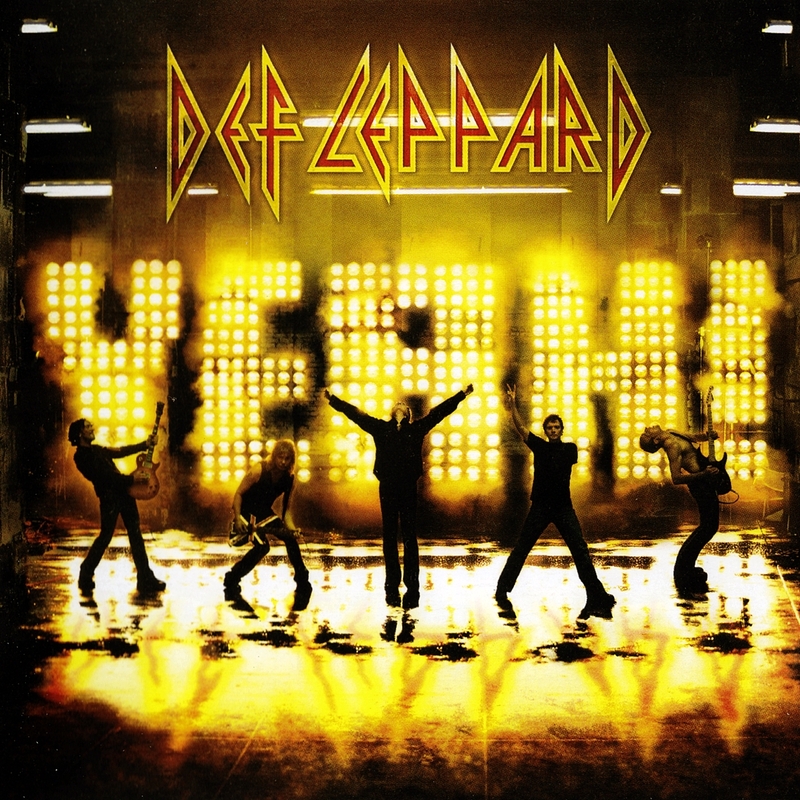 exceptional is that Def Leppard is reconnecting with the reason why they're even in a band by playing the rock & roll that inspired them in the first place. They're reinvigorated by this material, and by playing these songs, it's easier to appreciate what makes Def Leppard a great rock & roll band. Compare their versions of Free's "A Little Bit of Love" or Thin Lizzy's "Don't Believe a Word" to the originals -- they're not as big and bluesy as Free, but the huge riff that drives the song is a direct forefather of Leppard's powerful signature sound, and "Don't Believe a Word" hammers home that few bands built on Lizzy's twin guitar harmonies as well as this group did. But it's not just that these covers put Leppard's music in context; it's that they sound more like a genuine rock & roll gang than they ever have: listen to the truly raw take on the Faces' "Stay with Me," which may not be quite as sloppy as the original (how could it be? ), but it's equally greasy and riveting -- plus, it's sung with raw gusto by guitarist Phil Collen, whose turn on the mic emphasizes that this is a sound of a true group. They still sound like Def Leppard -- there are still cavernous drums, huge guitars, and driving harmonies -- but they no longer sound as slick and calculated as they did on their albums after Hysteria; they sound alive and vigorous, making a convincing case that they're now their own best producers. If they could carry this sound and feel onto an album of originals, they would have a killer record, but saying that diminishes the accomplishment of Yeah!. It's a killer record in its own right, and more pure fun than anything yet released in 2006. Few bands could achieve an artistic comeback via a covers album, but as this glorious record proves, there are few bands like Def Leppard.